Brian's not wrong, in this regard, but that doesn't take away from the overall tone and takeaway of Ramona Shelburne's very good feature on D'Antoni from Wednesday. Following a tough end to a 2007-08 Phoenix Suns season that featured the team trading longtime Sun Shawn Marion to Miami for Shaquille O'Neal midseason, D'Antoni reportedly was at loggerheads with new-ish Suns GM Steve Kerr. A day after the team's season ended, word came out of Phoenix that D'Antoni and the Suns were parting ways, officially an amicable dissolution of the relationship, but with all anonymous sources indicating that it was D'Antoni that wasn't happy with the direction of the franchise. "I shouldn't have gone to New York," he says, looking down at the sideline in Memphis, pacing on that unstable right leg. "I probably irrationally made a decision right when the season was over. You should take a month to figure it out. I shouldn't have left. That was my fault." The story I've always heard is that it was a mutual parting. The Suns' ownership group and new general manager Steve Kerr pushed him to hire a defensive assistant. His system was questioned. Everything was. Sure the Suns could outscore everyone, but could they win a championship? Could D'Antoni? Was the team flawed? Was he? Did they just have horrible luck? Did he need to change? Could he? "No. 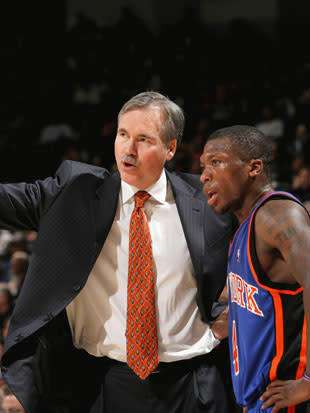 It was me," D'Antoni admits now. "I initiated it and I probably shouldn't have." To be fair to Mike, and history, it wasn't as if D'Antoni left a championship contender in Phoenix. The Suns lost in the first round to San Antonio, the West's longtime immovable object, in 2008. After flailing around with Terry Porter and losing Amar'e Stoudemire to an eye injury in 2008-09, the team missed the playoffs entirely. The team made it to the Western Conference finals in 2010 while rallying one more time around a career year from Stoudemire and Steve Nash's continued brilliance, but Stoudemire left to join D'Antoni in New York just a month later. Nash was traded last July after two frustrating seasons away from the postseason. In actuality, D'Antoni was merely the first to jump ship. It appears, though, as if he would have preferred to go down with the ship. But that's what happens when you make quick decisions following a season — no matter the sport or how long that season goes on for. It's something you can stand by, every time — if a player or coach doesn't walk away from the game directly after the season ends, and actually mulls things during the offseason months, you know they're coming back next year. There was no mulling for D'Antoni in 2008. Immediately he started entertaining offers in Chicago, which had disappointed significantly in 2007-08, and with a New York team that had finally pushed Isiah Thomas to the curb with the hiring of GM Donnie Walsh. 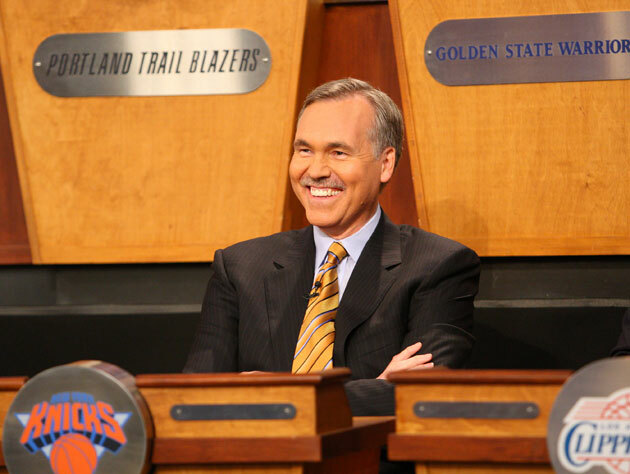 According to reports, D'Antoni turned down the Bulls, and hooked up with New York in time to head to the NBA's draft lottery and represent the team with the fifth-best odds to secure the top overall pick in that year's draft. After two seasons' worth of Isiah Thomas deals forced New York to either send or swap their lottery picks to Chicago, New York finally had a high lottery selection with no restrictions. And, as we now know, D'Antoni had to watch as New York fell out of the top five, with Chicago racing in (with odds at less than 2 percent at the top selection) to grab the first pick and Derrick Rose. He knew what he was getting into, an extended rebuilding job with precious little already on hand, but you can talk yourself into quite a lot during an NBA offseason. Walsh did a miraculous job clearing cap room for New York, but even a "miraculous job" with the roster that Thomas left meant that New York wouldn't see any cap space for 25 months after D'Antoni's hiring. In the meantime D'Antoni had to deal with two losing seasons, immediate clashes with Stephon Marbury, Eddy Curry, and Nate Robinson, and an uninsured consolation prize in the LeBron James sweepstakes in Stoudemire. By the time Thomas swooped back in to hand half of Walsh's roster to Denver for Carmelo Anthony, it was clear who was calling the shots. The team forced assistant coach Mike Woodson on D'Antoni in 2011-12, and by last March he had taken enough. And the Knicks, probably to D'Antoni's great dismay, have absolutely flourished since. Woodson has gone 28-10 in regular-season games with the Knicks, with a winning percentage that would flesh out to a 61-win season if kept up over 82 games. Not exactly what Mike had in mind, we're guessing. Being dropped into the Laker "crisis," featuring Kobe Bryant, Dwight Howard, Pau Gasol and eventually a re-pairing with the injured Steve Nash, is a wonderful bounce-back; even if (as Shelburne points out in her piece) D'Antoni is clearly in great pain as he recovers from a knee replacement surgery that should have kept him off his feet until December. Is Mike overrating the impact that Nash will have on this team following his return? Possibly; but that's what absence (and time spent with Stephon Marbury and Nate Robinson) will do to a guy. The pleasing take is that both coasts appear to be happy with their current coaches. Let's hear it for the happy major markets, NBA fans.